With a range of flexible, specialist degrees on offer, cutting-edge facilities, and leading researchers and academics, UON Central Coast is a centre of educational excellence for the region and beyond. Within a friendly and welcoming environment, which provides an outstanding opportunity to thrive, our Central Coast students enjoy the benefits of world-class facilities and personalised support from award-winning teachers. 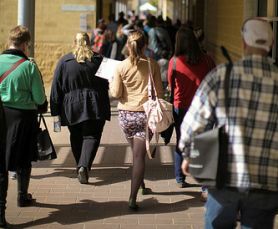 Whether you are a local or an international student, find out more about becoming a future student at UON Central Coast. Our Central Coast campus is close to public transport links and the M1 Pacific Motorway.